Located about 80km from Chennai on India’s east coast, Satish Dhawan Space centre is used by ISRO to launch all of its satellites including those to the Moon and Mars. Also known as Sriharikota, it was established during the late 1960s but today it has a vehicle assembly building, two launch pads and a state of the art mission control centre. 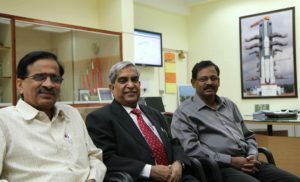 In this episode, Dr MYS Prasad, the director at Satish Dhawan Space Centre describes the key services and activities that take place at India’s 21st century rocket launch complex. This interview was recorded in January 2014 and Dr Prasad stood down as director on 31st May 2015.